St. Andrew United Methodist Church - Connect, Grow, and Serve - Why Do We Need Jesus? The simple answer is because we are all sinners and God wants us back. But let's go back and learn more. God created this majestic earth on which we live. He created the earth and the mountains and the sea and plants and the birds and the animals. And it was all good. But He didn't stop until He created Adam and Eve and He created them in His own image. And then He surveyed His creation and it was very good. God would come and walk and talk to Adam and Eve every day. But then Adam and Eve decided to disobey God. They sinned. Now because of their sin, God who is perfect, could no longer walk and talk and have a personal relationship with them. How can a perfect being have a personal relationship with imperfect, sinful people? He can't. But God did not give up on us. He sent Moses with the laws. He sent prophets and kings in an effort to bring us back. But it did not work - because we were still sinful, imperfect beings. 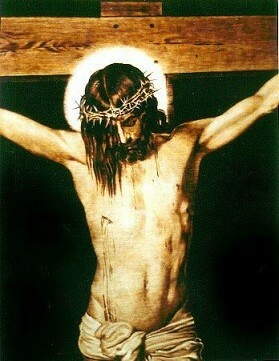 So God sent Jesus to die for our sins. The blood of Jesus covers our sins, now and forever. And just as important, He sent and still sends his Holy Spirit to live in us, to guide us, to comfort us, and to give us strength. But even though Jesus has already died for us, we have to accept this gift. It's like winning a prize. You may have won the lottery, but until you claim it, the prize is not yours. It's the same with Jesus' sacrifice. If you don't claim it, He died in vain for you. God loves us dearly - each and every one of us and desires to have a personal relationship with us. We are sinners. We are separated from God. Jesus is the only way that our relationship with God can be restored. He died for our sins and he rose again. He conquered death forever and ever! We must individually accept and receive Jesus Christ as Savior and Lord.